"A serious, well-behaved young black cat, who leads a daring double life defeating vile villains." When Miss Kitty sneaks out to go hunting in her beautiful boots she gets herself into all sorts of scrapes, but on this particular night she meets the foxiest hunter of them all - Mr. Tod! This utterly entertaining tale is filled with mistaken identities, devious villains and even an appearance from Peter Rabbit. 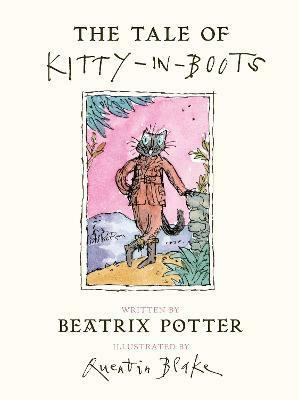 Told with Beatrix Potter's trademark dry humour and wry observations, this brilliant tale is sure to become as popular as her original classics and is illustrated by the best-loved Quentin Blake.